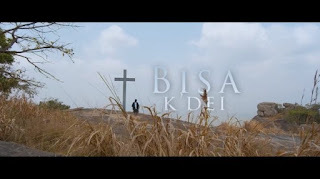 Ghanaian highlife sensation Bisa Kdei releases the visuals to his single titled “Hammer”. Hammer is a song (in Twi language) that talks about the need to be happy and leave all problems to the Creator above, as he is ready to dismantle all your burdens with His almighty hammer. The song is taken from his forthcoming album titled “Highlife Konnect”, and it was produced by Guilty Beatz. Video directed by Yaw Skyface. Peep the visuals and download the tune below.